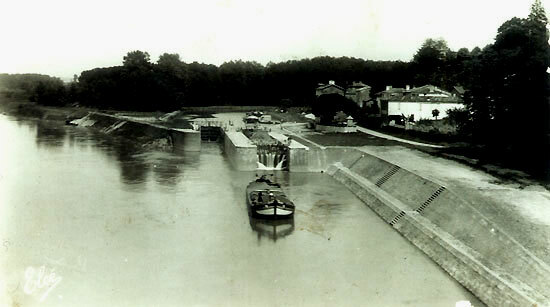 Here the Canal 's gate in Aquitaine the site is remarkable for it's location and the lie of the land. A marker shows the height of the worst floods when the Garonne left its bed. Visit the port, its mill and the remains of the promontory. Up on the hill Chateau Duhamel overlooks the valley. 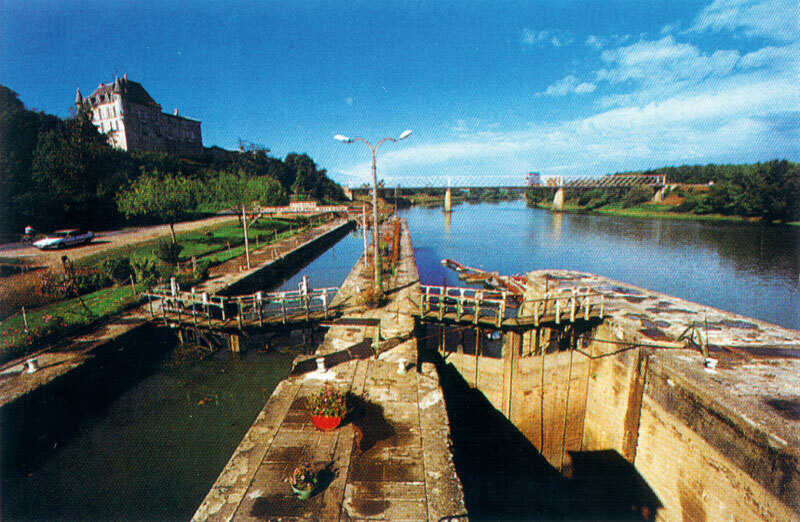 At this pretty site the Canal des Deux Mers meets the Garonne river and the boats take their first lock on their way to Agen and Toulouse, and then on to Beziers and Sete on the Canal du Midi. The port used to be very busy with barges queueing up, waiting for high tide so they could continue on with their goods to Bordeaux.